The Los Angeles Kings and San Jose Sharks met last season in the Western Conference Semifinals, with the Kings advancing. They meet again in the first round of the 2014 Stanley Cup Playoffs. Last season, the teams played a classic seven-game series. The Kings may have advanced, but overcoming the mental and physical fatigue that set in during the course of the grinding, tight and low-scoring victory was too difficult for the Kings. In the series, the teams played five games decided by one goal, including one in overtime. Games 6 and 7 finished with 2-1 scores with the Kings benefitting from home-ice advantage to win Game 7. The toll, however, proved too much. The Kings would win one more game in the playoffs before falling to the Chicago Blackhawks, the eventual Cup champion, in a five-game Western Conference Final. So much remains the same this time around, although San Jose has the higher seed by their second-place finish in the Pacific Division. It still expects to be a no-quarter-given, low-scoring, tension-filled series. Home ice meant a lot in the regular-season series between these California rivals. The home teams went 4-1-0 with the Sharks owning the lone blemish, a 1-0 loss at SAP Center on Jan. 27. Like their playoff series last season, the games in the regular season were tight; one goal was the difference in four of them, including two that went to overtime and one into the shootout. Los Angeles took the season series by earning seven out of a possible 10 points (3-1-1). The Sharks went 2-2-1 to earn five points. Eight Kings combined for 12 goals against the Sharks, including two apiece from defenseman Drew Doughty and center Anze Kopitar. The Sharks had eight goals by five players, led by forward Joe Pavelski's three. Kings goalie Jonathan Quick went 2-0-0, including one shutout, a .930 save percentage and a 1.46 goals-against average in two appearances against the Sharks. Los Angeles used three goalies in five games, including Martin Jones and Ben Scrivens, and combined they had a .941 save percentage and 1.60 GAA. Sharks goalie Antti Niemi got the bulk of the work against the Kings, with two wins in four starts with a .910 save percentage and 2.67 GAA. Alex Stalock started against L.A. on Jan. 27 and gave up one goal on 21 shots in the 1-0 loss. Even though it wasn't represented in their regular-season series, the Sharks scored more goals and had a better power play during the regular season. Each team thrives off the puck-possession game. The Kings were better than the Sharks when they went head-to-head. San Jose should feel comfortable matching its top two lines against any in the NHL. The group looks even better with rookie Tomas Hertl able to return for the Stanley Cup Playoffs, even though expecting too much out of him wouldn't be wise considering he's never been in the NHL postseason and he's coming off a major knee injury. The Sharks' dynamic group of Joe Thornton, Joe Pavelski, Brent Burns, Patrick Marleau and Logan Couture will pose problems for the Kings with their speed, power and hockey sense. They might be one collection of forwards able to stop the Kings from playing their possession game. Thornton is an assist machine. Pavelski had the best regular season of his career. Burns has transformed into a legitimate and productive power forward after playing as a defenseman for so many years. Marleau is still one of fastest players in the League. Couture hasn't skipped a beat since returning to the lineup following a 16-game absence (Jan. 7-Feb. 7) because of surgery on his right hand. Tommy Wingels and Matt Nieto can play in the top six if necessary. They provided secondary scoring and exceptional speed this season. 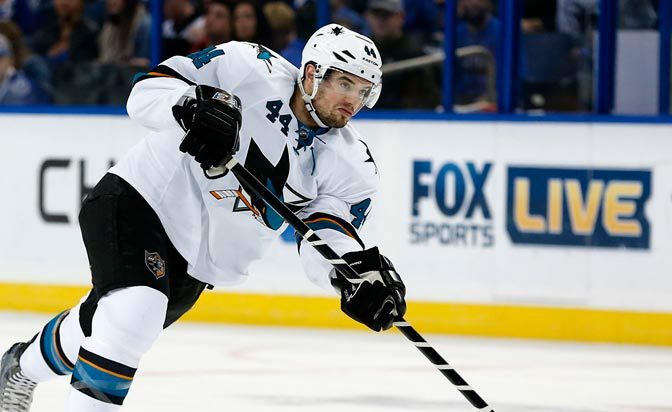 James Sheppard and Andrew Desjardins add to San Jose's experience and depth down the middle. If Raffi Torres is healthy, the Kings will obviously have to be leery. Martin Havlat is capable of being a dynamic scorer but has been streaky at best. In the penultimate game, he scored a natural hat trick, but that came after sitting out as a healthy scratch earlier. The Kings again struggled to find scoring in the regular season, but the addition of Marian Gaborik gave them an effective top line with Anze Kopitar and Justin Williams. Gaborik didn't produce immediately but his skating and offensive instincts give opponents matchup problems. Kopitar made his best case yet for the Selke Trophy as the League's top defensive forward and was by far the Kings' most consistent two-way forward. He led the Kings in scoring for the seventh straight season. Williams is one of their better puck-possession forwards. Jeff Carter, who owns one of the more lethal wrist shots in the game, needs to score more timely goals. The Kings didn't have much depth after the top line. Mike Richards had a disappointing regular season and was demoted to the fourth line, away from Carter. Captain Dustin Brown was a non-factor. He was broken up from longtime linemate Kopitar and relegated to the third line. Dwight King had a career high in goals and is part of why the Kings are among the biggest teams in the NHL. Tyler Toffoli and Tanner Pearson were given larger roles and contributed intermittently. Fourth liners Trevor Lewis, Kyle Clifford and Jordan Nolan had stretches of effectiveness. The Sharks coaching staff does a masterful job managing ice time to keep the defensemen fresh. San Jose doesn't have anyone averaging more than 22 minutes per night, but it does have one of the deepest blue lines in the League and one of the best units at transitioning out of the defensive zone. Marc-Edouard Vlasic likely won't win the Norris Trophy, but he's put himself among the elite defensemen in the NHL. He's one of the top two-way players at the position in the game and leads San Jose's quick transition game. Vlasic isn't a numbers guy, but he's as reliable in all areas of the ice as anyone in the League. Dan Boyle is an elite puck-mover and a threat on the power play even if he does not skate like he once did. Justin Braun and Jason Demers have added energy and depth to the blue line. Scott Hannan and Brad Stuart remain the rock-solid, stay-at-home players they have been throughout their careers. Matt Irwin provides some added spark to the offense and is a threat on the power play. The Sharks led the NHL in shots on goal this season, averaging approximately 35 per game. Their seven defensemen played a big role in that, combining for nearly 800 shots on goal. In turn, that helped San Jose limit its opponents to approximately 28 shots per game. There's not much new with the Kings, who can roll out the heaviest and most stubborn defense corps in the NHL. Robyn Regehr, Willie Mitchell and Matt Greene play a physical style suited to the postseason, and Alec Martinez provided needed offense in place of Greene toward the end of the regular season. Mitchell came back from a potentially career-threatening knee surgery and formed a regular partnership with Martinez. 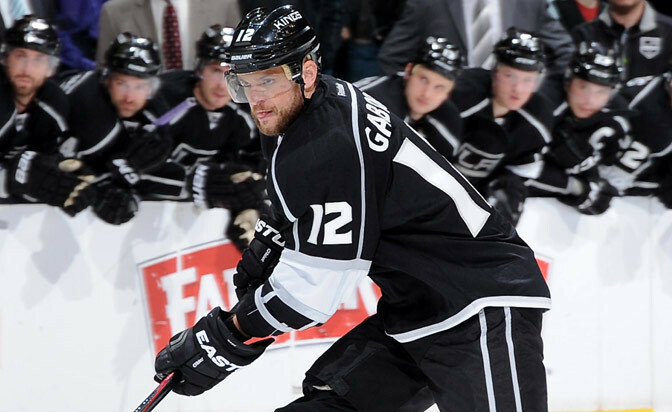 Regehr quietly provided a stay-at-home, hard-hitting presence to balance his partnership with Slava Voynov. Jake Muzzin fights inconsistency but has grown with Drew Doughty as his partner. Muzzin has a big body and a big shot but will need to cut down his mistakes. Voynov is, at times, high-risk but his offensive upside manifests itself on the power play. Doughty remains the driving force on defense and displayed arguably his best all-round season since 2009-10. He has embraced more two-way responsibility since last season and has shown why he's the best defenseman on the best defensive team in the NHL. He also raises his game when the stakes are high, whether it's the Olympics or the postseason. What looked like a position of stability for the Sharks may not be anymore. Niemi is the No. 1 goalie, but his struggles toward the end of the regular season left coach Todd McLellan in a difficult position of having to choose between Niemi and Stalock. After pulling Niemi from a 5-2 loss to the Anaheim Ducks last week, McLellan would offer a lukewarm endorsement of the former Stanley Cup-winning goalie with the Chicago Blackhawks. He said Niemi is "one of our guys going into the playoffs, yup." That's not exactly great praise for Niemi, who had allowed three goals on 19 shots. Niemi has been the Sharks No. 1 goalie since arriving from Chicago following the Blackhawks' Cup run in 2010. He was a finalist for the Vezina Trophy last season and had a strong start to this season, but lately hasn't been at his best. He was 2-1-1 with a .910 save percentage and 2.67 GAA against the Kings this season. Stalock was superb in his backup role with a sub-2.00 goals-GAA and a save percentage comparable to other backup goalies with at least 20 appearances. He lost in his only start against the Kings this season, allowing one goal on 21 shots. It would be shocking if Niemi isn't the Sharks No. 1 heading into the playoffs, but McLellan obviously has him on a short leash. Quick not only came back from a groin injury that caused him to miss 24 games in November and December, but he played in the 2014 Sochi Olympics and got better in the second half of the season. Quick routinely made highlight saves in the final weeks of the regular season to show why he's the goalie no opponent wants to face in the first round. Coach Darryl Sutter is known for riding his No. 1 and he didn't let up with Quick, who sat out three games from Jan. 4 through March 31. Quick became the Kings' all-time winning goaltender in his sixth full season. His next playoff game will be No. 51 of his career. Jones won't see any action in the postseason unless Quick gets injured. But the way he grabbed the No. 2 job was a highlight of the season. Jones tied the NHL record with eight wins to start his career and was the first goalie in League history to allow an average of fewer than one goal per game in his first eight games. McLellan has the Sharks in the playoffs for a sixth straight season after they reached 50 wins again. He has been one of the top coaches in the League since 2008-09, his first season behind San Jose's bench. He led the Sharks to back-to-back Western Conference Finals in 2010 and 2011. They lost to the St. Louis Blues in the first round in 2012, and to the Kings in a seven-game, second-round series last season. San Jose general manager Doug Wilson gave the team what he called a refresh last season when he traded Ryane Clowe, Douglas Murray and Michal Handzus before the NHL Trade Deadline. The goal was to become a faster team. McLellan has made it work as San Jose was back among the best possession teams and one of the highest-scoring in the League this season because they were faster and thus harder to defend. They were in the bottom-third in goals last season, but back in the top 10 this season despite not having a top-10 power play for the first time in McLellan's tenure. Few teams can score so few goals and be so feared in the playoffs as the Kings. Sutter had to work through another offensively challenging season when Richards and Brown never were able to produce at expected levels. Sutter benefitted from remarkable goaltending in Quick's absence. Jones and Scrivens each allowed one or zero goals eight times after Quick went down. Sutter's defensive structure again provided the foundation, and he helped the Kings rebound from a 1-8-1 slide in January and February. Sutter is 72-67 in the playoffs and has won six series the past two seasons. He has been through two Stanley Cup Final series, in 2004 and 2012, and there is no reason why he can't guide the Kings through another long spring. The Sharks traditionally have had one of the NHL's best power plays, but that was not the case this season; they finished below 20 percent for the first time in six seasons with McLellan in charge. The Sharks never seemed to get their second unit to click. Pavelski, Marleau, Thornton, Boyle, Burns and Couture were effective, but there was a big drop in production after that. San Jose made up for some of its deficiencies on the power play with a strong penalty kill for the second straight season. San Jose's PK dipped well under 80 percent from 2010-12, but it has been back in the mid-80s the past two seasons. Pavelski, Marleau and Couture are among the top penalty-killing forwards in the League. The penalty killers were tested mightily because the Kings were one of the most penalized teams in the NHL, but Quick is the backbone and Los Angeles finished in the top half of the League for the fourth straight season. Richards, Carter, King and Lewis are shorthanded threats. The power play still doesn't pose as much of a threat as it should considering it features Doughty, Voynov, Kopitar, Carter and Richards. The Kings went through a stretch of eight games and two five-games stretches without scoring on the power play. Martinez thrived on the man-advantage late in the season. Joe Pavelski -- He has been the Sharks' most important player all season. That won't change now. He has been Mr. Clutch this season, scoring the majority of his goals when the Sharks were either trailing by one or tied. He scored three goals in five games against L.A.
Pavelski is San Jose's top player on the power play and one of the first forwards over the boards to kill penalties. He is the Sharks' best option in the faceoff circle. He likely won't win an end-of-season award, but he should be in the discussion for the Hart Trophy and the Selke Trophy. Marian Gaborik -- He's not the 40-goal scorer he used to be, but Gaborik is still a threat who was brought in precisely to contribute at this time of year. If he can provide another dimension similar to what Carter brought two seasons ago, the Kings will be much more formidable. Sharks will win if ... They beat the Kings at controlling the puck. San Jose and Los Angeles are two of the best teams in the League at winning battles in all three zones. They drive possession and take a lot of shots. If the Sharks are going to win this series, they will have to dominate possession because the Kings will grind them down if they don't. Goaltending in particular will be huge because the Sharks know scoring more than three goals a game on Quick will be difficult. They scored eight goals in five games against the Kings during the regular season. Kings will win if ... They can find that extra goal to support their playoff-ready defense and goaltending. The reason no team wants to play Los Angeles is because the Kings are built for postseason play. They thrive in low-scoring games with their suffocating defense. Los Angeles is one of the best closing teams in the NHL despite some late-season lapses.